Air Zoo Education Programs - Inspire Your PreK - 12th Grade Students! The Air Zoo s world-class, MDE-certified education team focuses on creating affordable and interactive educational programs that not only fulfill multiple educational standards, but also stimulate and engage each student, inspiring learners to continue their personal exploration of science long after the program s conclusion. All Air Zoo education programs are developed by certified Michigan teachers who utilize a unique approach of combining dynamic lesson plans and hands-on activities with once-in-a-lifetime experiences. 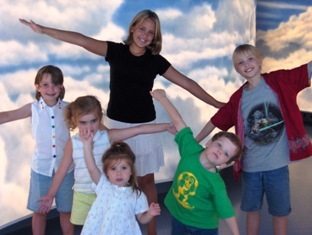 Designed to fulfill Common Core requirements, including Next Generation Science Standards (NGSS), the Air Zoo s programs strive to encourage a student s innate curiosity while instilling the fundamental scientific, technological, engineering, artistic, and mathematical (STEAM) tools needed for success in today s world. The Air Zoo's education team can also bring these amazing programs to your community. Our educators can travel to your location and conduct the same interactive, fun, and engaging programs normally offered on-site at the Air Zoo. This option is a fun and exciting way to supplement current lessons, or can be used as a reward to motivate students toward an important goal. With financial assistance available through the Air Zoo s Science Inspiration Scholarship Fund, the world of STEAM education is now accessible to more children, regardless of socioeconomic status. Students are sure to have an unforgettable experience with the Air Zoo s educational programs! Book a field trip today - Simply submit the form at the bottom of this page! Financial Aid, Scholarships, and Grants are available! The Air Zoo has funding options that may allow your class to attend a program at the Air Zoo, or host an Air Zoo educational outreach at your own educational space, for FREE! To apply, download a scholarship application by clicking HERE. For more information or to book your group Air Zoo experience, contact the Air Zoo's Event Sales team at 269.350.2848 or events@airzoo.org. The Air Zoo Science Inspiration Fund is made possible in part by the Irving S. Gilmore Foundation, Dorothy U. Dalton Foundation, and the Battle Creek Community Foundation, the Perrigo Company Charitable Foundation, and generous support from corporations and individuals. You have options! Experience the Air Zoo's education programs at our location (6151 Portage Rd, Portage, MI) or at yours, our Education Team can come directly to you! For questions and additional program info, please contact our Education Team at education@airzoo.org. Discover how people learned to fly by studying birds and experimenting with kites, gliders, and planes! Young aviators explore the forces of flight, compare the shapes and structures of a bird s body with an airplane s, and learn about basic aircraft construction while making their own take-home flying machines. This highly-interactive program provides students with a strong, introductory knowledge of aviation principles and inspires them to learn more! Students "dive" into the ocean using realistic puppets, ocean-themed music, and dramatic play to experience the diversity of animal species below the waves. Fish, sharks, sea turtles, dolphins, rays, and more will come to life in this wild ocean environment. Young oceanographers will take home their own unique octopus puppet. Children encounter air pressure at work with a large, puppet version of the Cat in the Hat, and explore the question, what is weather, and why is it important to us? Kids learn about and utilize the vocabulary of weather, view instruments used to measure our changing atmosphere, and create tools to measure wind direction in this wacky weather workshop. Astronauts are living in space! Join us for an astronaut challenge as students learn about the special tools and equipment used aboard the International Space Station (ISS). Young explorers end the class by designing their own space suits to take home! This lesson is also available as an outreach program. Discover how people learned to fly by studying birds and experimenting with kites, gliders, and planes! After comparing the shapes and functions of a bird s body with an airplane, young aviators make their own take-home flying machines. This highly-interactive program provides students with a strong, introductory knowledge of aviation principles and inspires them to learn more! Examine marine aquatic ecosystems, including coral reefs and the deep sea, and learn about the inhabitants that call them home . Using realistic marine puppets, children visualize and experience the biodiversity and adaptations of these unique ocean animals. Ocean-themed music will get the kids moving as they conclude the class with an oceanic craft project. Jump into the story of the Three Billy Goats Gruff and design and build a bridge to protect the Goats from the Troll. Using the engineering design process, young engineers will work in teams to test and then re-engineer their creations. Explore the wonders of working with magnets while applying the Law of Magnetism to specific problem-solving activities. Students experiment with natural magnets, man-made magnets, electromagnets, and a magnetic sensor to investigate and collect data on what types of materials a magnetic field will pass through. The solar system is brought down to Earth as students view the planets in our new portable STARLAB planetarium! Young astronomers act out the movements of the sun, moon, and Earth to describe the patterns of night and day in this out-of-this-world program. Experience chemical changes by creating a variety of slime substances in the lab. This messy program teaches measuring, using proper lab practices while adhering to the scientific method, and exploring the properties of matter. Young meteorologists make weather observations, use weather map skills, and operate weather instruments while learning the science behind our changing atmosphere. Students study natural hazards like tornadoes and floods by interacting with a dry ice tornado and a 5-foot stream table model. Children reveal Michigan history by digging out fossils and learn to interpret map data in this hands-on class. Observe simulated glacial movements that recreate the formation of the Great Lakes. Alter the landscape in our 5-foot stream table model to prevent water erosion and flooding! Officers and enlisted personnel...Welcome to your first mission briefing and hands-on training aboard the CV-63 USS Kitty Hawk Aircraft Carrier. As the Cold War continues, your service is required to deliver American warplanes and pilots directly to the frontlines in the Pacific. Be part of the action as the two major superpowers, the United States and the Soviet Union, face off. Catapult the F-14 Tomcat and the F-8 Crusader safely off the deck of the USS Kitty Hawk into battle. Grasshoppers have organ systems that function very much like those of humans. Budding biologists will dissect grasshoppers to examine the external and internal organs that support survival, growth, behavior, and reproduction. Students learn the fundamentals of electricity while constructing multiple open and closed circuits, building electromagnets, and relaying messages on a real telegraph! This exploratory course is designed to give students an understanding of how electricity and energy are transferred to devices used in daily life. After learning what it takes to build a strong structure in our new Imagination Playground, future engineers will work in teams to design, build, test, and redesign a hurricane tower able to withstand wind and rain. Are you up to the challenge? Students discover the social and physiological challenges posed by extended stays in space, and see the systems used to sustain life aboard the International Space Station (ISS). Young astronauts work as a team to complete a challenge that simulates the conditions experienced during a spacewalk and learn about current scientific experiments taking place in space. Students explore the science and history of flight during this exciting hands-on experience! Young Aviators experiment with the four forces of flight and learn how to manipulate airplane control surfaces to make their own take-home gliders soar! Aspiring astrophysicists investigate the forces placed on an astronaut during a space mission and explore ways of increasing a rocket s speed by converting chemical potential energy into kinetic energy using Newton's Third Law of Motion! Students also learn the science involved in completing a successful mission to Mars. Young engineers demonstrate their knowledge of work, energy, and forces while exploring the history and power of simple machines during this hands-on STEAM workshop. After designing and building their own siege machines and participating in a castle wars activity, students return home excited about science and engineering! Students discover the fantastic world of static electricity while creating voltage between different objects and transferring electrical energy from one object to another! Activities include experimentation with a Wimshurst electrostatic machine, the world’s first battery, and the hair-raising 325,000-volt Van de Graaff generator. Young physicists learn how speed, mass, g-force, and potential energy affect the design of the most popular thrill rides on the planet! Students use engineering principles to cooperatively build and test their own large-scale roller coasters in this popular class experience! Look out to the universe to investigate the Sun and stars in our new portable STARLAB planetarium! Check out the view from above to observe the patterns of the day and night skies before gravity pulls you back down to Earth. Students investigate the science of polymers while exploring the properties of matter in common household materials. By creating a variety of "slime" substances in a lab setting, future chemists discover how changing the ratio of the chemical ingredients affects the outcome of the gooey gak. Young scientists utilize proper lab practices while developing other unique slimy materials. How does light move through the parts of the eye and get processed by the brain? Investigate the sense of sight in this cow eye dissection class that will make you see the light! Young astrophysicists learn how rockets work by gaining knowledge of physical forces and Newton's Laws of Motion. They race the force of gravity, investigate the exchange of thermal energy, create real-life action/reaction scenarios, and build and launch their own model rockets (weather permitting). Students take home a reusable model rocket. Young scientists utilize engaging models to demonstrate the power of physics and learn about Newton's Laws of Motion. Basic physics principles come to life as students manipulate variables during hovercraft testing and construct catapults to test the formula: Force = Mass x Acceleration. Budding engineers expand their knowledge of mechanical advantage, energy, and work while exploring the history and influence of machines in this exciting, hands-on STEAM workshop! After designing and building a compound machine and participating in an innovative engineering challenge, students are sure to go home excited about science and engineering! What does it take to design a new aircraft? Aspiring aerospace engineers examine this engineering challenge through studying the four forces of flight, exploring angle of attack, and piloting the Air Zoo s unique full-motion flight simulators! Students explore aircraft design and aerodynamic principles while building and testing their own wing prototypes in the Air Zoo s wind tunnel! Let the planets and stars come to you in our new portable STARLAB planetarium! Students will examine the reasons for the seasons, moon phases, and eclipses while watching the Sun-Earth-Moon system come to life. Students explore the science and history of flight during this hands-on experience! Participants design and build FPG-9 gliders and experiment with the four forces of flight, control surfaces, and Bernoulli s Principle. Students learn the fundamentals of electricity while constructing multiple open and closed circuits, generating electric currents using magnets, and building real electric motors! This exploratory course is designed to give students an understanding of electricity and how energy is transferred to devices used in daily life. Young physicists learn how acceleration, the Law of Conservation of Energy, and potential and kinetic energy affect the design of the most popular thrill rides on the planet! Students use engineering principles to cooperatively build and test their own roller coasters. Investigate how aerospace engineers use rockets and space planes to tackle the challenges of reaching space in the 21st century! Students apply their knowledge of Newton s Laws of Motion while working within time and budget constraints to design successful space vehicles. A "crime" has been committed at the Air Zoo! Young forensic investigators will learn about real-world Crime Scene Investigation (CSI) protocols, such as finger printing, inspection of microscopic evidence, and examination of DNA. They will identify a suspect using clues found throughout the Air Zoo to solve the crime!. Discover the power of physics, energy, and forces in motion using Newton's Three Laws. Test your own skills by completing a series of challenges while using your knowledge of the forces: make your own inertia devices, investigate F=MA during a carnival-style "Strongman Hammer" challenge, and score extra points by reducing friction during a unique game of air hockey! Young astrophysicists collect data, and make observations of how rockets work! Students gain a working knowledge of physical forces and Newton's Laws of Motion through racing the force of gravity, investigating the exchange of thermal energy, creating real-life action/reaction scenarios, and building and launching their own model rockets (weather permitting). Students take home a reusable model rocket. What does it take to design a new aircraft? Aspiring aeronautical engineers examine this real-world engineering challenge and study Bernoulli s Principle of air pressure, lift-to-drag ratios, and flight controls. Students explore aircraft design and aerodynamic principles, build and test wing prototypes in the Air Zoo s wind tunnel, and put their flying skills to the test in the Air Zoo s full-motion flight simulators. Enhance your students learning with our pre/post program activities. A "crime" has been committed at the Air Zoo! The focus of this innovative and unique class involves solving an Air Zoo mystery utilizing real-world Crime Scene Investigation (CSI) protocols. Young sleuths lift and identify finger prints, analyze trace evidence with microscopes, and synthesize evidence from the crime scene to identify a suspect. Student Crime Scene Investigators work cooperatively to determine the guilty party while discovering CSI careers, real crime scene procedures, and evidence collection and preservation techniques. Students gain a uniquely personal perspective of the war that changed the world by participating in several realistic role-playing challenges. Students decide whether to enlist in the armed forces, or wait to possibly be drafted, and explore the consequence of their decisions. In addition to experiencing life in various combat zones, students examine how participation in World War II altered the roles of various minority groups living in the United States. Educational Tours - Let your students be a part of living history! 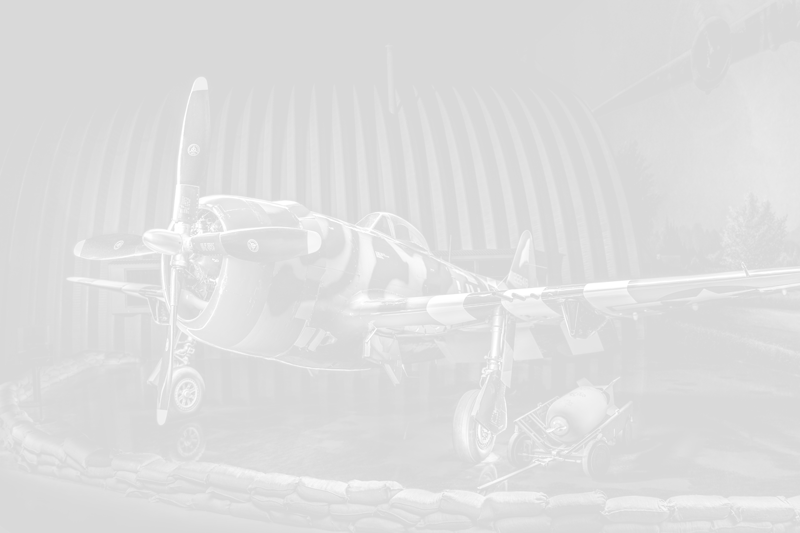 Explore the role of aviation in determining the outcome of World War II. 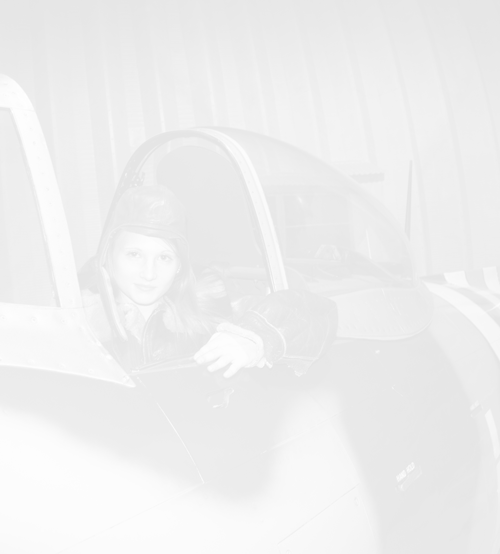 This tour introduces participants to the theories, technologies, and tactics employed by the United States Navy and Army Air Forces that led to ultimate victory, and gives an overview of the processes used for training American military pilots and Women Airforce Service Pilots (WASP) volunteers. Visitors explore how science has advanced from the age of Sir Isaac Newton to today s modern space travel. Investigate how the invention of the rocket has been used in both war and peace, experience the thrills of historic space programs, and explore life on the International Space Station (ISS). Travel through time as you explore the history, innovation, and creativity of aviation technology, ranging from the Wright Flyer to the powerful SR-71 Blackbird! Explore the restoration projects currently underway inside the Air Zoo s Restoration Center with an expert Air Zoo guide. The Air Zoo has been selected by the Naval Aviation Museum Foundation to oversee restoration of two historic World War II era aircraft recovered from the bottom of Lake Michigan after over 65 years: a Wildcat fighter and a rare SBD Dauntless dive bomber. Take a fascinating look back while gaining insight into historic aviation preservation. Book an Education Program Today! For more information or to book your visit, please fill out the form below and send a request to our Group and Event Coordinators. Have more questions? Call 269.350.2848, or email directly via email at events@airzoo.org. *Pricing for programs listed above is in addition to $8.00 admission per student, which gives them access to all exhibits and rides. * To book an educational program, or for questions, contact our Event Staff at 269.350.2848, or via email at events@airzoo.org for details. *Please note that some Air Zoo rides and attractions have height and weight restrictions. Fill out the form below to get in touch with our Events Staff.